Join us for this 1-day Avalanche Rescue course to set you up for success as a competent member of any backcountry party for winter outings. 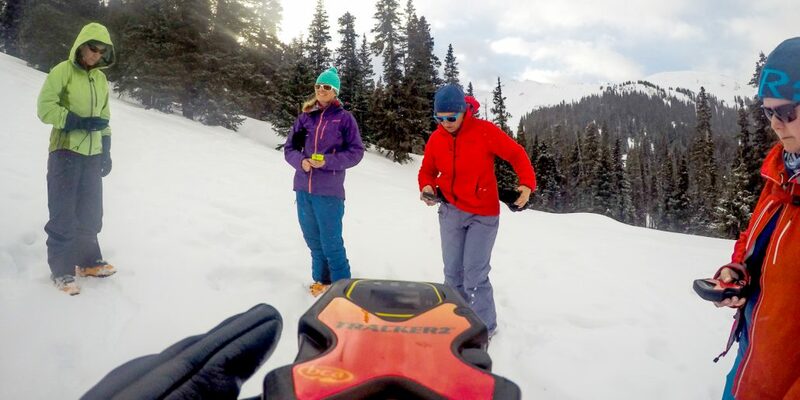 Designed for newcomers to the backcountry and seasoned veterans alike, the skills covered in this intensive clinic will give you more confidence to use your avalanche rescue equipment and a framework for sound decision-making in the event of an avalanche incident. We’ll provide you with resources to access backcountry conditions and weather forecasts, how to make a basic emergency plan and discuss how to manage groups in avalanche terrain. The key topics covered, combined with ample hands-on practice will help you perform critical rescue skills in the event of an avalanche burial. Our systematic approach with professional instruction and coaching will help you get to know your avalanche transceiver inside and out, use your probe and shovel effectively as well as get the skinny on the airbag and Avalung use. Our outdoor classroom won’t require skis or any specialized equipment, only warm clothing, winter footwear, and ample calories. This course meets guidelines set by the American Avalanche Association and also meets guidelines set by the International Commission for Alpine Rescue (ICAR). When completed, this course will provide you with the prerequisite Avalanche Rescue certification to continue on with the Pro Level 1 if that is your goal. We recommend all backcountry users refresh with the ARC every two years. *Demos from our Sponsors are available including outerwear, warm layers, and gloves. Please contact us if you would like to check out some of the latest and greatest. Click on the date you’d like to register for and you will be re-directed to the Silverton Avalanche School website to complete the process. A $35.00 fee is charged for course date transfers. 60% of the course cost can be refunded up to 30 days prior to the course start. No refunds are provided for cancellations made less than 30 days prior to the start of the course for which you are registered. Unfortunately, we cannot give refunds, rain checks or cancellations if passes into Silverton are closed.